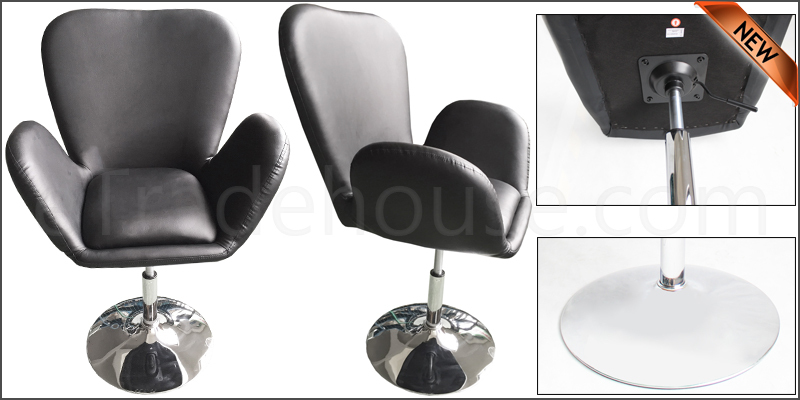 Black Leather Style Beauty Salon Hairdresser Chair. Barber Style Faux Leather Stool Seat. Gas Strut Adjustable Height: 90 to 106cm. Chrome Base and Hydraulic Height Adjustment. Includes Side Arms for Comfortable Abrasion Resistant Seating. Easy to Assemble, Includes All Fittings and Instructions. 1x Barber Style Faux Leather Swivel Stool.